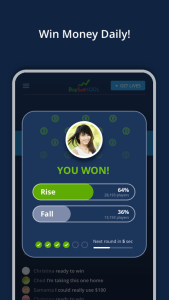 BuySellHODL (BuySellHODLapp.com) is excited to announce the Beta-Launch of the BuySellHODL Cryptocurrency App, providing veteran crypto investors as well as new crypto enthusiasts with unique cryptocurrency investing content combined with the fun and engaging crypto experience they have been seeking. 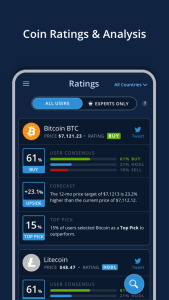 With an intuitive interface and sleek design, the BuySellHODL Crypto App offers users proprietary real-time cryptocurrency ratings, coin price targets, cryptocurrency news, and an exciting daily Bitcoin game featuring cash prizes. 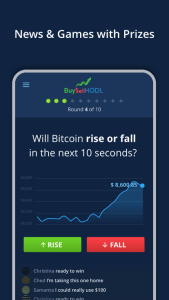 The BuySellHODL App is free to use and available to download on your iPhone & Android. 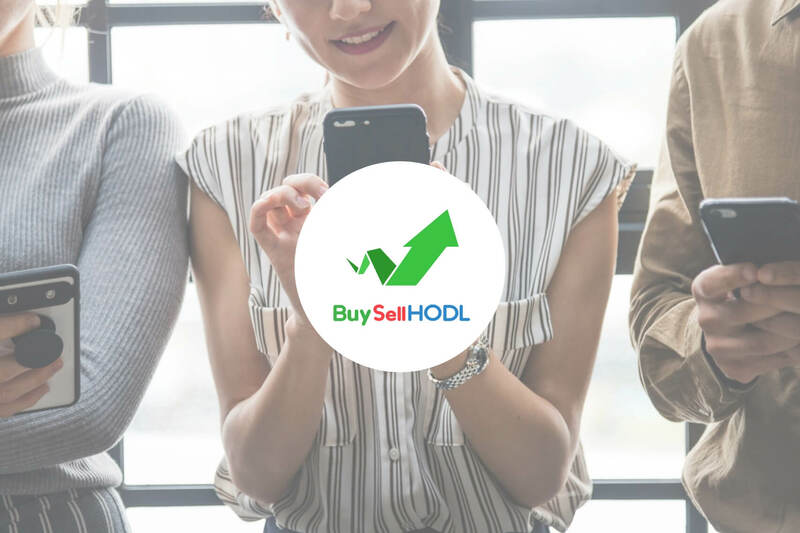 BuySellHODL (@BuySellHODLApp) is the brainchild of entrepreneur and Best-Selling Author Clifford Lerner, who previously co-founded the first online dating app and first publicly traded social media company, which grew to 100 million users. As a tech entrepreneur whose prior life was on Wall Street, building a robust and informative platform to help the growing population of cryptocurrency enthusiasts was a natural match for me. The BuySellHODL Cryptocurrency Platform represents a major step forward toward helping the next 100 million users adopt cryptocurrencies, as we aim to better educate beginners and crypto enthusiasts through our unique, compelling, and fun content. The common theme during our beta-testing, where over 10,000 games were played from both beginners and crypto enthusiasts, was their mutual craving for more engaging content and cryptocurrency analysis, which we plan to deliver this with the upcoming launch of our proprietary crypto ratings and price targets. You can download the BuySellHODL app to follow our crypto updates which will also be posted in our Crypto Press Room. 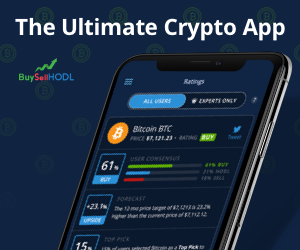 BuySellHODL (@BuySellHODLapp) is the Ultimate Cryptocurrency App for beginners and crypto-enthusiasts alike seeking compelling crypto content. Our unique crypto offerings include live crypto ratings, coin price targets, live coin prices, unique crypto news, and a fun daily Bitcoin game with real money prizes. 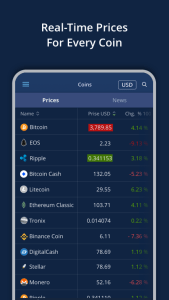 Download BuySellHODL on iPhone and Android. Read our Disclaimer. BuySellHODL was founded by entrepreneur and crypto-enthusiast Clifford Lerner, author of the Best-Seller Business Book For Startups, Explosive Growth – A Few Things I Learned Growing To 100 Million Users. Cliff created BuySellHODL with the goal of getting the next 100 million users to adopt cryptocurrencies, by educating beginners and crypto enthusiasts through BuySellHODL’s unique, compelling, and fun cryptocurrency content. Learn more about BuySellHODL.